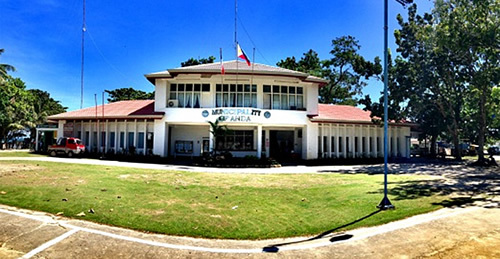 A premier eco-cultural tourism destination, sustainable agri-business and climate resilient municipality in the region propelled by enlightened leaders with empowered, self-reliant and God-loving Andahanons coupled with good governance and committed to the growth and protection of the environment. The Municipality of Anda is committed in developing a well-balanced ecology, economy, social, spiritual, infrastructure, climate-resilient, good& participatory governance to bolster the safety of life and eco-cultural tourism without comprising the environment and its people, their culture and resources. To Increase household and LGU income. To achieve the vision as the next Eco-Cultural Tourism Destination of the Province. To preserve the cultural heritage. To develop and maintain historical sites. To promote proper peoples participation. To promote sustainable development and environmental sustainability. To increase economic opportunities thru agricultural development. To guide the orderly development of the Municipality to promote the health, safety, welfare and convenience of the population. To preserve special natural features and environmentally critical areas. To translate socio-economic policies into physical policies and plans. To provide guidelines for the appropriate use of natural resources. To allocate land for settlements, industries, and other urban uses on land least suitable for agriculture and farming uses. To serve as basis for reclassification and converting land. To reflect changes in the physical, social and economic characteristics of the community. To incorporate changes in the goals and objectives of the community.